Pages from a journal handwritten by an unknown person, but likely by a descendant of William Ripley, that lists the deaths at Cornish, New Hampshire from 1826 to 1850. This post covers deaths in 1849. 5 - Miss Martha Ann Lamberton, daughter of Mr. Joseph Lamberton - 29 or 30; mentioned in a sketch of her father Joseph Lamberton and wife Rhoda Martha (Ford) Lamberton on pages 250 and 251 in History of the Town of Cornish, New Hampshire, with Genealogical Record, 1763-1910, Volume 2. Martha Ann's gravestone, a photograph of which accompanies her Find a Grave memorial, shows either Jan. or Jun. ; I'm leaning toward January. 6 - Mrs. Hannah Spaulding, Wife of Mr. Daniel S. - Cm, 77. Hannah (Spaulding) Spaulding, born June 4, 1772, daughter of James Spaulding and Hannah (Neff) Spaulding and wife of Daniel Spaulding, as mentioned on page 339 in History of the Town of Cornish, New Hampshire, with Genealogical Record, 1763-1910, Volume 2. 18 - A Child of Mr. Allen Cady - age 1. The child was Emily Jane Cady, born in 1848, daughter of Allen Curtis Cady and Mary Jane (Tisdale) Cady, as mentioned on page 50 in History of the Town of Cornish, New Hampshire, with Genealogical Record, 1763-1910, Volume 2. 31 January or February, Mr. William York, M, 90. His stone gives his death date as February 1, 1849, as does a sketch of him on page 435 in History of the Town of Cornish, New Hampshire, with Genealogical Record, 1763-1910, Volume 2. 10 - Mr. Ichabod Smith Sen., 77. There follows some wording I'm not sure of, and I don't know if it applies to this entry or the one for Widow Rawson. But I believe "at the river" applies to Ichabod Smith. Ichabod Smith, Jr., presumably the Ichabod Smith described in a sketch on page 328 in History of the Town of Cornish, New Hampshire, with Genealogical Record, 1763-1910, Volume 2. 12 or 13 - Widow Rawson, relict of Mr. Thomas R., deceased - 77. Mary (Smith) Rawson or Mary Polly (Smith) Rawson, or Polly (Smith) Rawson; shown as having died on February 13, 1849 in a sketch of her husband on pages 297 and 298 in History of the Town of Cornish, New Hampshire, with Genealogical Record, 1763-1910, Volume 2. 24 - Joshua Wyman, Son of Mr. Saul Wyman - Cm, 25; mentioned in a sketch of his father Saul Wyman on pages 430 and 431 in History of the Town of Cornish, New Hampshire, with Genealogical Record, 1763-1910, Volume 2. Out of Order - Latter part of February - Wife of Mr. Zerah Smith. Ruth (Cady) Smith, wife of Zera Peck Smith. Ruth was born on August 29, 1814, daughter of Capt. Curtis Cady and Sally (Morgan) Cady, and having died on February 18, 1849, as mentioned in a sketch of her father Custis Cady on 50 and in mention of her husband on page 334 in History of the Town of Cornish, New Hampshire, with Genealogical Record, 1763-1910, Volume 2 - where his name is spelled Zerah. 2 - A Child of Mr. Enos Rawson. Presumably the father Enos Rawson is the Enos mentioned as a son of Thomas Rawson and husband of Elvira (Clark ? 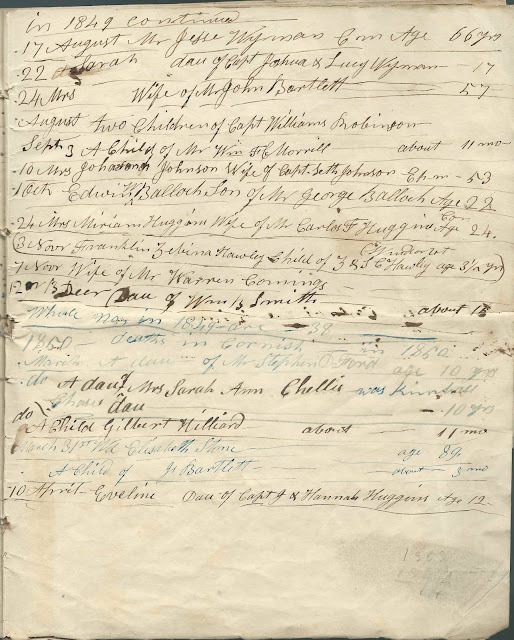 ), adopted daughter of William Whittlesey; they moved to Kalo, Iowa, and died in that area, as noted in the sketch of Enos' father Thomas Rawson on pages 297 and 298 in History of the Town of Cornish, New Hampshire, with Genealogical Record, 1763-1910, Volume 2. I wonder if the father is this man, named Enoc Rawson, buried in Otho, Iowa. 9 - Widow Abagail Huggins, relict of Mr. Jonathan Huggins, deceased - Chm, 78. 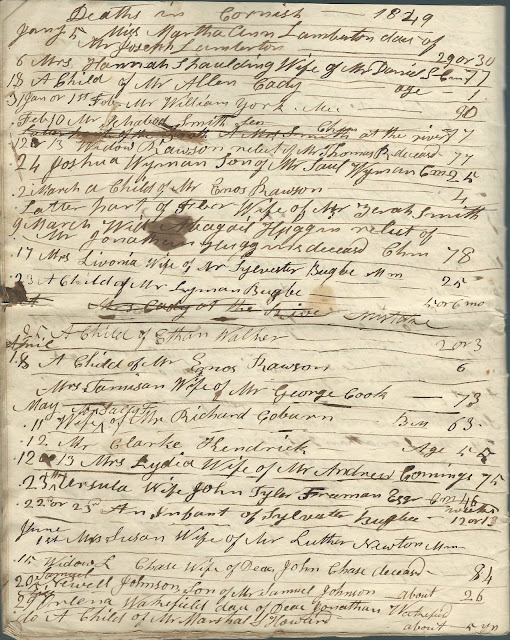 Note spelling: Abigail (Spaulding) Huggins, as mentioned in a sketch of her husband's father, Jonathan Huggins (1741-1809) on page 210 and in a sketch of her father Andrew Spaulding on page 343 in History of the Town of Cornish, New Hampshire, with Genealogical Record, 1763-1910, Volume 2. 17 - Mrs. Lavonia, Wife of Mr. Sylvester Bugbee - Mm, 25. Livonia Calista (Cobb) Bugbee, born December 10, 1823, daughter of Levi Cobb and Calista (Bugbee) Cobb and wife of Capt. Sylvester Marsh Bugbee, who was her uncle, as mentioned in a sketch of Livonia's father Levi Cobb on page 94 and in a sketch of her husband on page 41 in History of the Town of Cornish, New Hampshire, with Genealogical Record, 1763-1910, Volume 2. 23 - A Child of Mr. Lyman Bugbee - 5 or 6 mo. The child was a daughter, born December 28, 1848, to Francis Lyman Bugbee and Ruth (Coburn) Bugbee, as mentioned in a sketch of Francis Lyman Bugbee on pages 40 and 41 in History of the Town of Cornish, New Hampshire, with Genealogical Record, 1763-1910, Volume 2. Crossed out entry - "Mrs. Cady at the River, Mistake"
25 - A Child of Ethan Walker - 2 or 3. Presumably Chester Walker, born January 1, 1847, son of Ethan Walker and Mahala (Spaulding) Walker. 18 - a Child of Enos Rawson - 6. George H. Rawson, whose rather was presumably Enos Rawson, son of Thomas Rawson as described in a sketch of Thomas Rawson on pages 297 and 298 in History of the Town of Cornish, New Hampshire, with Genealogical Record, 1763-1910, Volume 2. And George may have been the son of the man named as Enoc Rawson in the first entry of March. Mrs. Tamison, Wife of Mr. George Cook - 73 Tamison Cook, whose Find a Grave memorial indicates she died on April 19, 1847. Tamison (Wilson) Cook was born May 5, 1772, daughter of Robert Wilson and Patience (?) Wilson, and wife of Capt. George Cook, who kept the Cook Hotel at Cornish, as mentioned in a sketch of her father Robert Wilson on page 422 and in a sketch of her husband on pages 119 and 120 in History of the Town of Cornish, New Hampshire, with Genealogical Record, 1763-1910, Volume 2. 11 - Mrs. Sally, Wife of Mr. Richard Coburn - Bm, 63. Sally (French) Coburn, born 1786, as mentioned in the sketch of her husband on pages 97 and 98 in History of the Town of Cornish, New Hampshire, with Genealogical Record, 1763-1910, Volume 2. 12 or 13 - Mrs. Lydia, Wife of Mr. Andrew Comings - 75. Lydia (Jackson) Comings, whose stone as pictured on her Find a Grave memorial gives a death date of May 13, 1849. Lydia (Jackson) Comings was born May 27, 1773 in Rhode Island, daughter of Benjamin Jackson and Lydia (Peck) Jackson, as mentioned in a sketch of Lydia's father Benjamin Jackson on page 220 and in a sketch of her husband Andrew Comings on page 109 in History of the Town of Cornish, New Hampshire, with Genealogical Record, 1763-1910, Volume 2. 23 - Mrs. Ursula, Wife of John Tyler Freeman, Esq. - Cm, 46. Ursula (Chase) Freeman, whose stone as pictured on her Find a Grave memorial gives a death date of May 22, 1849. Ursula (Chase) Freeman was born November 26, 1803, daughter of Joseph Chase and Polly (Jirauld or Gerald) Chase, as mentioned in a sketch of her father Joseph Chase on pages 70 and 71 and in a sketch of her husband John Tyler Freeman on page 169 in History of the Town of Cornish, New Hampshire, with Genealogical Record, 1763-1910, Volume 2. 22 or 23 - An Infant of Sylvester Bugbee - 12 or 13 weeks. Infant of Capt. Sylvester Marsh Bugbee, mentioned in a sketch on page 41 in History of the Town of Cornish, New Hampshire, with Genealogical Record, 1763-1910, Volume 2. 1 - Mrs. Susan, Wife of Mr. Luther Newton - Mm. 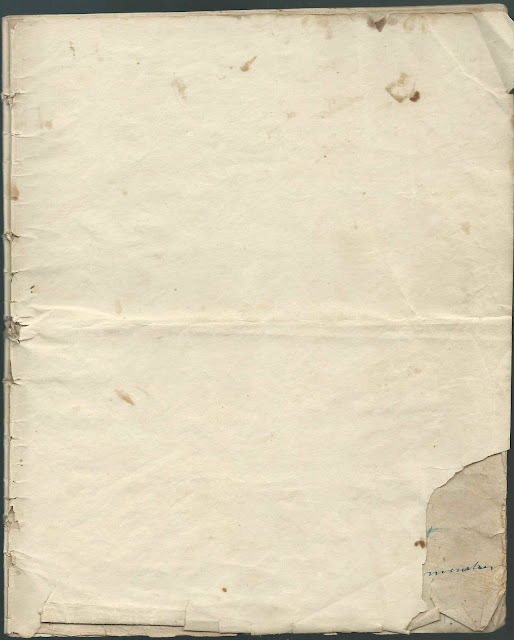 Susan (Bugbee) Miller Newton, as mentioned in a sketch of her father Reuben Bugbee on page 40 and in a sketch of her second husband Luther Newton on page 278 in History of the Town of Cornish, New Hampshire, with Genealogical Record, 1763-1910, Volume 2. In the book, Susan's death date is given in one place as June 1, 1849 and in another as May 22, 1849. 15 - Widow L. Chase, Wife of Deacon John Chase, deceased - 84. Louisa (Joslyn) Chase, second wife of Deacon John Chase, as mentioned in a sketch of her husband John Chase on pages 77 and 78 in History of the Town of Cornish, New Hampshire, with Genealogical Record, 1763-1910, Volume 2. 20 - Samuel Newell Johnson, son of Mr. Samuel Johnson - about 26. Samuel Newell Johnson, born in 1829, son of Samuel Johnson and Ruhamah (Luey) Johnson, as mentioned in a sketch of Samuel Johnson on pages 235 and 236 in History of the Town of Cornish, New Hampshire, with Genealogical Record, 1763-1910, Volume 2. 29 - Orlena Wakefield, daughter of Deacon Jonathan Wakefield. Orlena was born December 17, 1815, daughter of Deacon Jonathan Wakefield and Rebecca (Haven) Wakefield, as mentioned in a sketch of Jonathan Wakefield on pages 383 and 384 in History of the Town of Cornish, New Hampshire, with Genealogical Record, 1763-1910, Volume 2. A Child of Mr. Marshall S. Howard - about 5 years. Rosella B. Howard, born March 11, 1846, died June 29, 1849, as mentioned in the sketch of her father Marshall S. Howard on pages 207 and 208 in History of the Town of Cornish, New Hampshire, with Genealogical Record, 1763-1910, Volume 2. 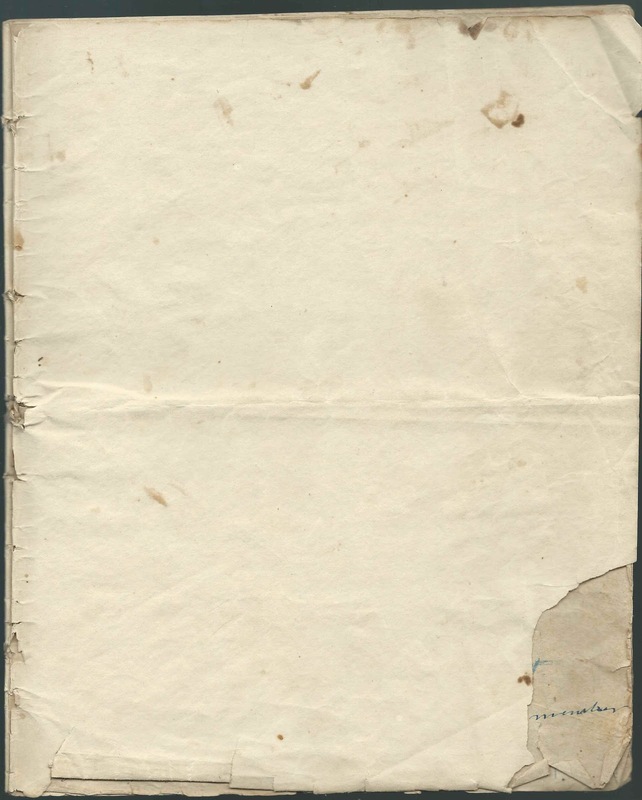 17 - Mr. Jesse Wyman, Cm, Age 66 years; a lengthy mention in the sketch of his father Jonathan Wyman on pages 433 and 434 in History of the Town of Cornish, New Hampshire, with Genealogical Record, 1763-1910, Volume 2. 22 - Sarah, daughter of Capt. Joshua & Lucy Wyman - 17. Sarah Wellman Wyman, born May 23, 1832, as mentioned in a sketch of her father Joshua Wellman on pages 429 and 430 in History of the Town of Cornish, New Hampshire, with Genealogical Record, 1763-1910, Volume 2. 24 - Mrs.__, Wife of Mr. John Bartlett - 57. Polly (Williams) Bartlett, born June 17, 1793, daughter of Samuel Williams and wife Lois, as mentioned in a sketch of Polly's husband John Bartlett on page 19 and 20 and in a sketch of her father Samuel Williams on page 419 in History of the Town of Cornish, New Hampshire, with Genealogical Record, 1763-1910, Volume 2. Two Children of Capt. William Robinson. I found a reference to the deaths of two children of Williams Dean Robinson and Mary Zilpha (Clement) Robinson, but their children died in August 1850, so I don't know if these are the children referenced or not. They were Rosabella Emeline Robinson, born July 12, 1844, died August 26, 1850; and Horace Edward Robinson, born April 3, 1846, died August 24, 1850, as mentioned in a sketch of Williams Dean Robinson on pages 316-318 in History of the Town of Cornish, New Hampshire, with Genealogical Record, 1763-1910, Volume 2. 10 - Mrs. Johnson, Wife of Capt. Seth Johnson - Epm, 53. Joanna (Chase) Johnson, born May 10, 1796, daughter of Joseph Chase and Polly (Jirauld or Gerald) Chase, as mentioned in a sketch of Joanna's father Joseph Chase on pages 70-71 and in a sketch of her husband Seth Johnson on page 234 in History of the Town of Cornish, New Hampshire, with Genealogical Record, 1763-1910, Volume 2. 1 - Edwin W. Balloch, Son of Mr. George Balloch - Age 22. Edwin West Balloch, whose Find a Grave memorial gives a death date of October 1, 1848, but the stone in the photograph attached appears to read 1849. Edwin married Caroline B. Hilliard; they had a son before Edwin's untimely death, as mentioned in a sketch of his father George Williamson Balloch on pages 15 and 16 in History of the Town of Cornish, New Hampshire, with Genealogical Record, 1763-1910, Volume 2. 24 - Mrs. Miriam Huggins, Wife of Mr. Carlos F. Huggins - Con, 24. Miriam Althea (Wyman) Huggins, born September 15, 1825, daughter of Joshua Wyman and Althea (Wellman) Wyman and wife of Carlos Freeman Huggins, as mentioned in a sketch of Carlos on pages 215- 216 and a sketch of her father Joshua Wyman on page 429 in History of the Town of Cornish, New Hampshire, with Genealogical Record, 1763-1910, Volume 2. 7 - Wife of Mr. Warren Comings. She was Mary (Taylor) Comings, born September 18, 1767, daughter of Capt. Joseph and Elizabeth (Sumner) Taylor, as mentioned in a sketch of her husband Warren Comings on page 108 and in a lengthy sketch of her father on pages 365 and 366 in History of the Town of Cornish, New Hampshire, with Genealogical Record, 1763-1910, Volume 2. In the book, Mary's death date is given as November 6, 1849. 12 or 13 - Daughter of William B. Smith - about ? [possibly 16]. Ellen M. Smith, born in 1833, daughter of William Benton Smith and Nelly Maria (Comings) Smith; mentioned as having died on December 12, 1849 in the sketch of her father William B. Smith on page 334 in History of the Town of Cornish, New Hampshire, with Genealogical Record, 1763-1910, Volume 2.